TekWay’s Architectural Series was developed with designers and architects in mind. 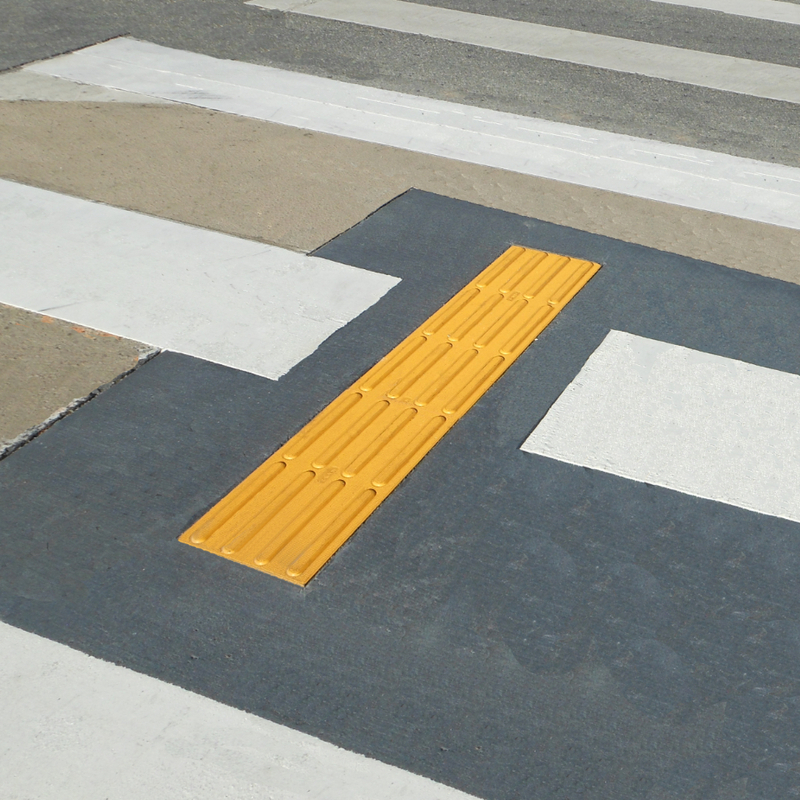 It allows for mandatory detectable warnings to become a visually attractive and unique part of your next project. One piece of brick pavers, radius tiles, block pattern and more. Since 2004, StrongGo has committed to designing and producing durable and reliable products. With business on the incline, requests for more and more “specialty” tiles have increased. TekWay was prompted to release the TekWay’s Architectural Series. This series was developed to have TekWay’s Technical group collaborate with designers and engineers to define and incorporate specialty tiles with specific design elements in mind. TekWay has met the ever-increasing demands for radius tiles used in public and private projects, large and small. 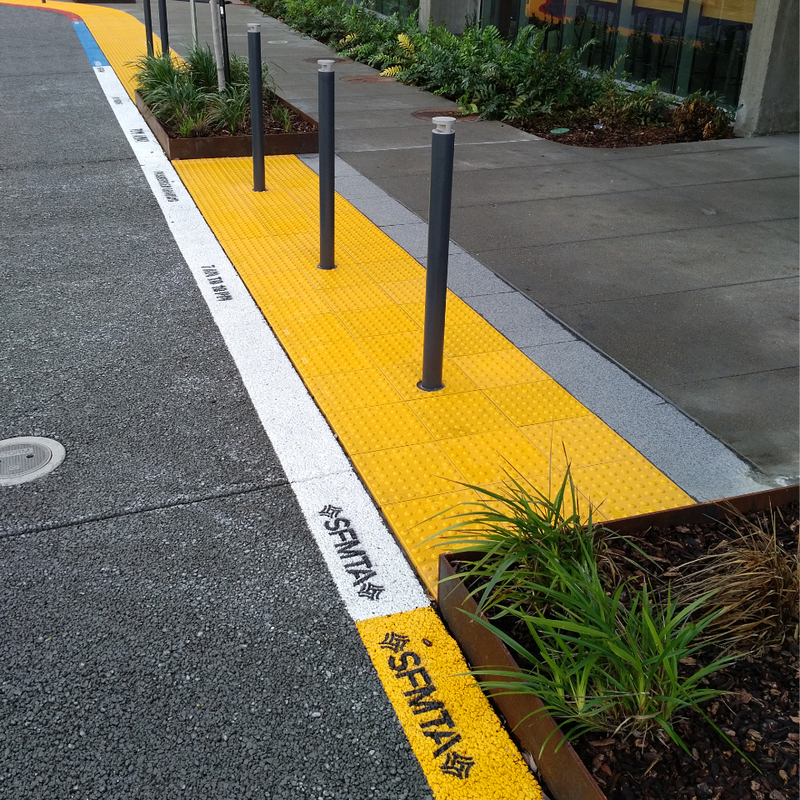 TekWay ADA Dome Tiles in radius configuration are designed for curb ramps with a 10’ to 60’ radii and in depths of 24” or 36”. 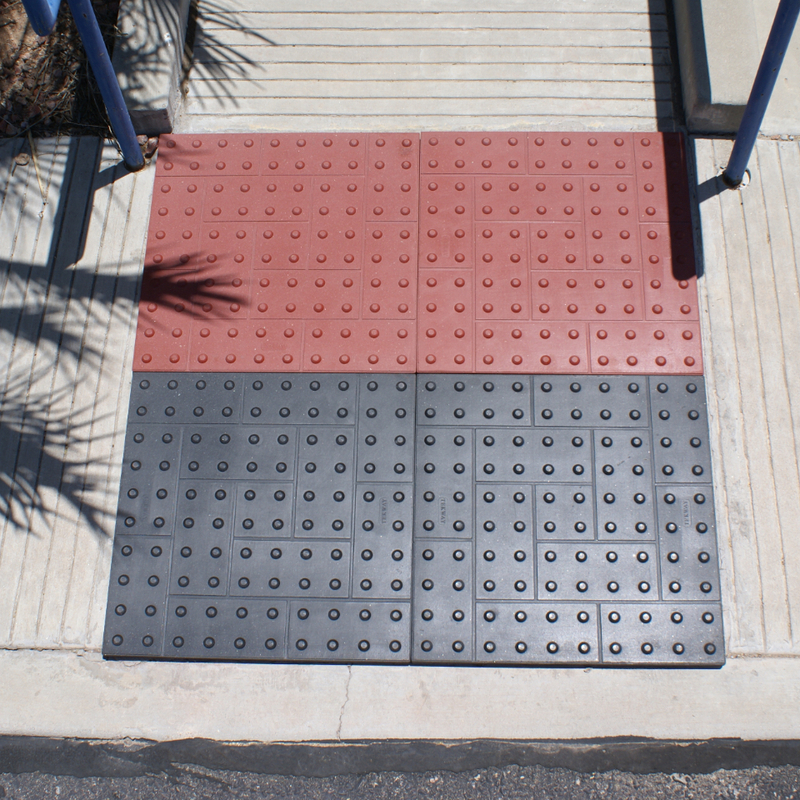 TekWay radius tiles are CAD designed to ensure ADA compliant dome spacing from dome to dome and from tile to tile. Our technical staff works with architects and designers to determine the number of full radius tiles required for your project, when possible. 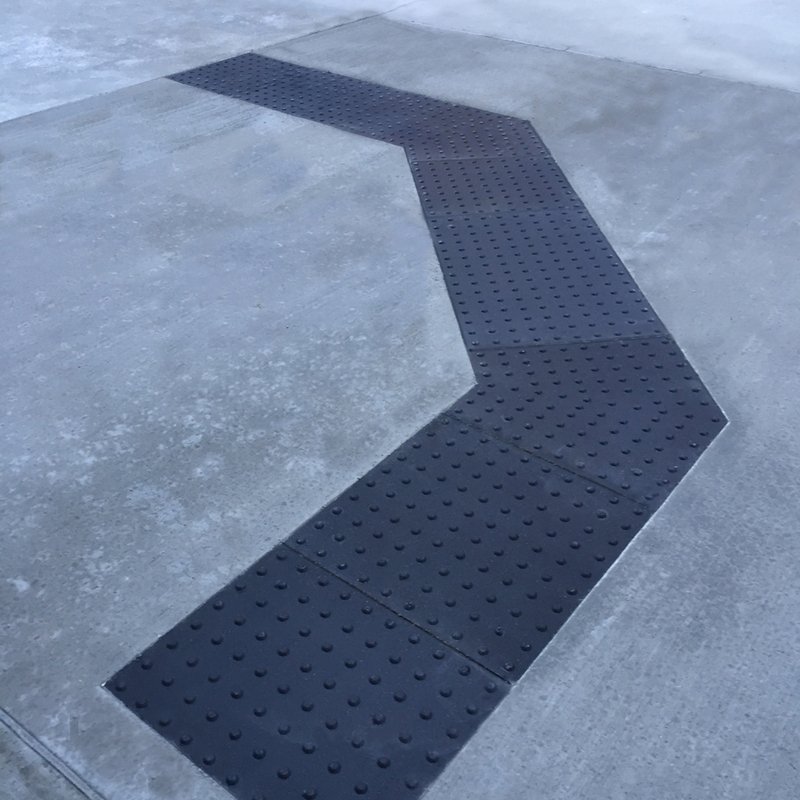 By selecting the correct radius tiles, the potential need for cutting/grinding domes can be eliminated and a perfect overall finished look produced. 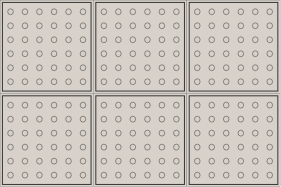 Another example of a custom-made tile to meet the designer’s needs. When a wedge tile is considered the best option for a project, TekWay can custom design and manufacture tiles specific to almost any job. 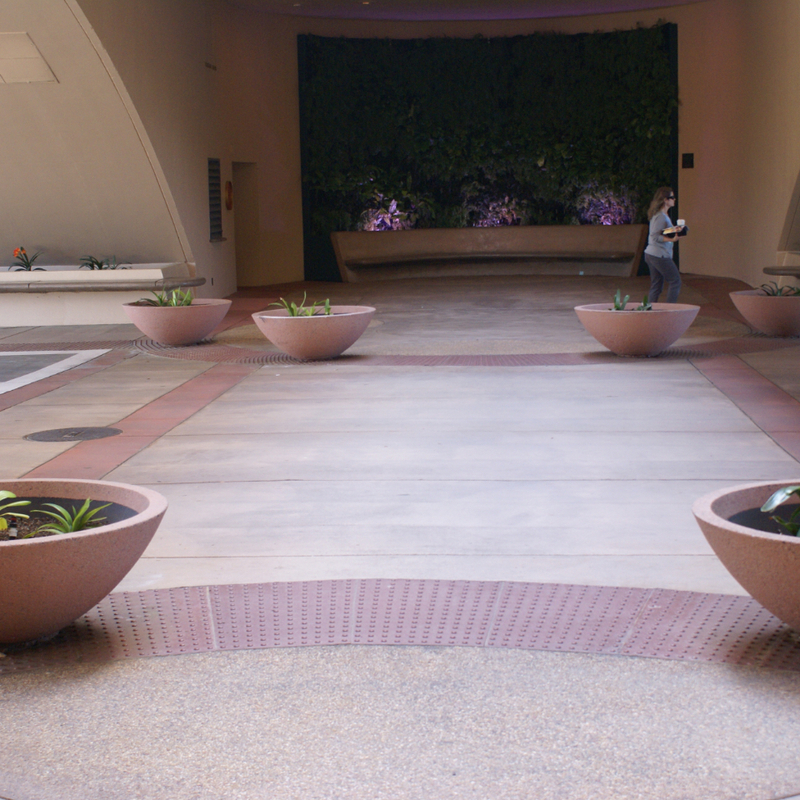 Wedge tiles are flat on both ends and create a beautiful “flower petal” effect which can be used in a variety of locations like surrounding water features or park monuments. 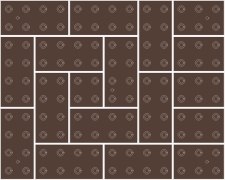 TekWay has extended its larger tile format to include a segmented square paver feature. The look of a small 12”x12” pavers incorporated into a large tile. Installing larger tiles reduces additional grout joints and labor hours while giving a classic 12”x12” paver look. 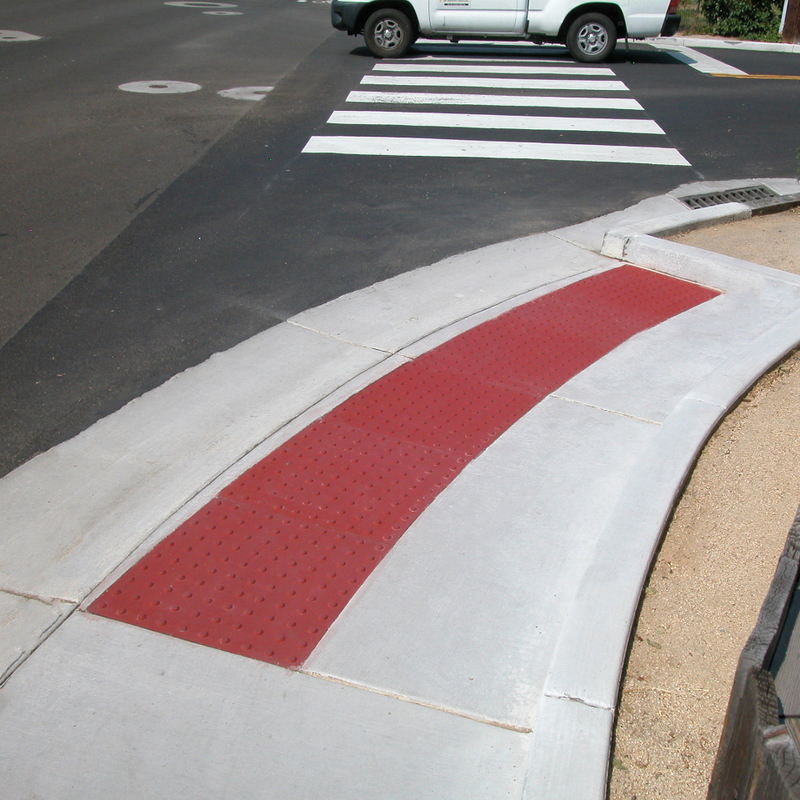 Directional and Navigational Bars were developed for municipalities in California to be installed within the streets and parallel to crosswalks to safely guide those with low vision along routes where other visual cues or points of reference are nonexistent.